In January, my daughter was engaged. 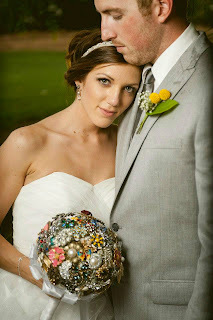 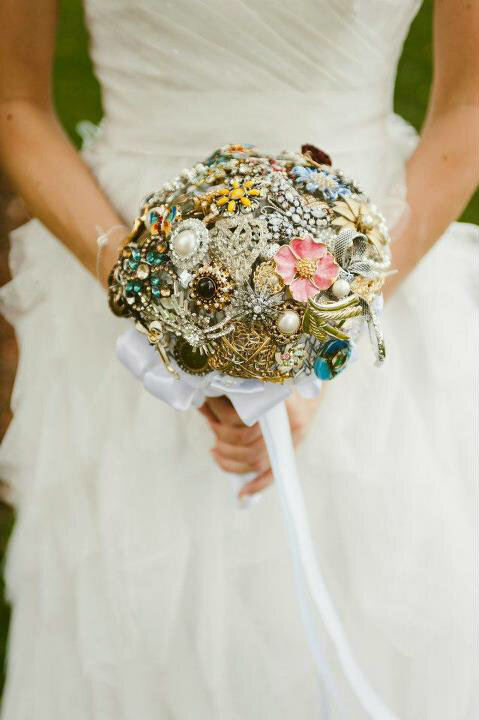 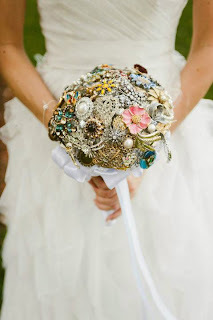 She showed me a photo of a brooch bouquet and asked me to make her one to carry on her wedding day. 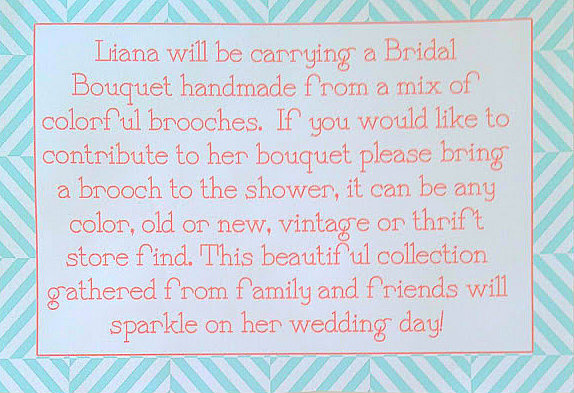 Her sisters and I collected brooches for a few months, and realizing that we needed many more, we tucked a note into the Bridal Shower invite asking friends and family to help. 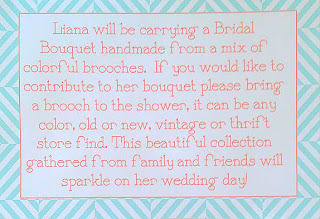 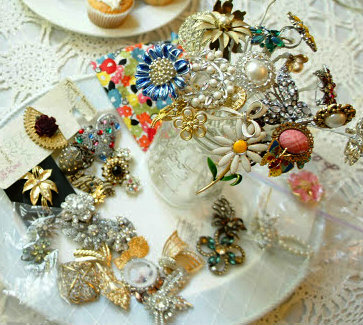 These brooches were lovingly and generously given to Liana for her special bouquet. After weeks of wiring, twisting, glueing, forming and arranging, all the individual pins became one beautiful bouquet. 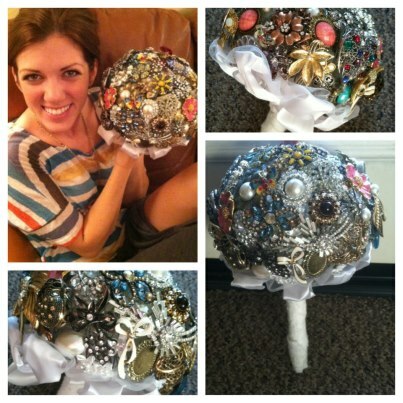 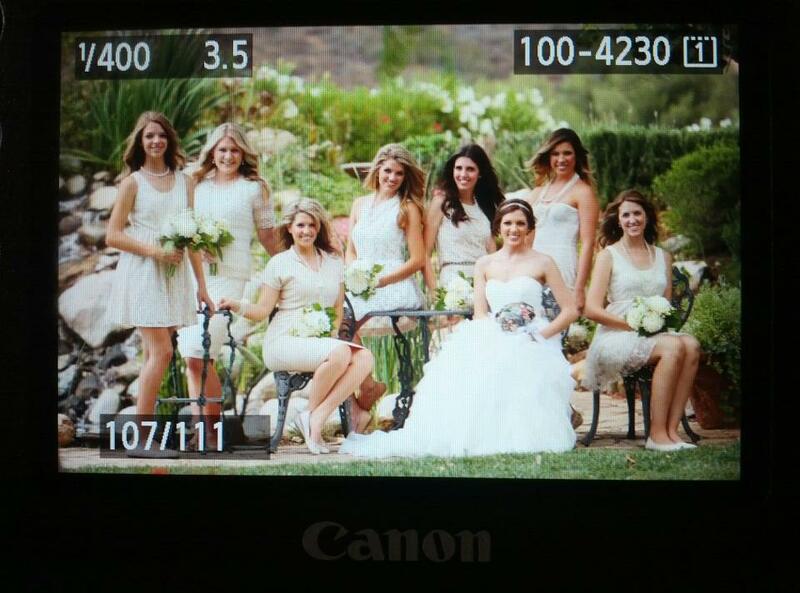 For this beautiful bride to carry down the aisle. 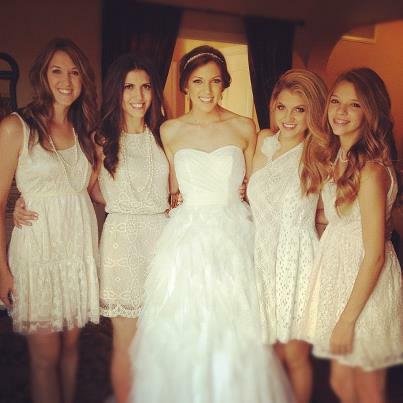 And to celebrate with her sisters.